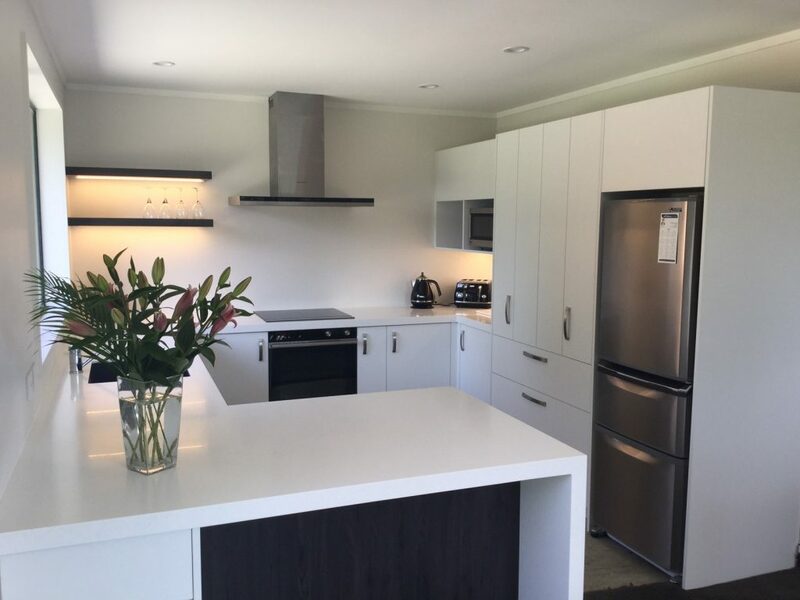 Here's a recently completed kitchen located in Cromwell. It's made from Snowdrift melamine with a Fumed Oak featured back panel and a 50mm Glacier acrylic benchtop. Here at B&M Joinery in Cromwell we have a large showroom. This allows you to come in and see first hand the latest trends an options available to you. Not on ly for your kitchen but also for your bathroom, laundry & wardrobe. Click on the photo’s for the details of each photo.